"Some days I'm in my Yeezys, some days I'm in my Vans." In a Twitter photo that sent shockwaves rippling through the sneaker world early this morning, adidas endorser Kanye West was seen wearing Vans. To be fair, West himself did his best to brace people for what was to come, saying in the recently released song "No More Parties in L.A." that, "some days I'm in my Yeezys, some days I'm in my Vans." In spite of that, adidas acolytes were sent into a frenzy at the arrival of the photo, conflicted on whether or not they should ditch their newly acquired Three Stripes fandom and toss out their Yeezy Boosts for skate shoes at the request of Yeezus. West's wear here, the Vans Cab (colloquially known as the Full Cab) is something of a deep cut. The shoe was the starting point for the Vans Half Cab, a DIY style that eventually eclipsed its bigger brother in status. 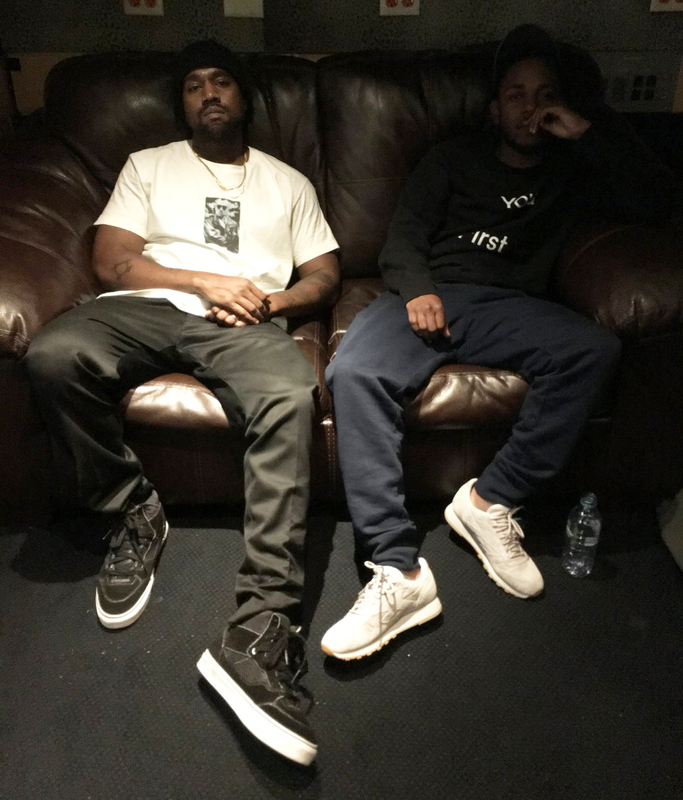 Kendrick Lamar sits aside West in the photo wearing his latest Reebok Classic collaboration.